The Liv Delphin Shoe Cover is an especially sleek design, made for snugging over you cycling shoes to help keep your feet dry and warm. The stretch ProTextura Plus is brushed on the inside for thermal warmth. The shoe covers are polyurethane coated to keep the wind and rain out. Wearing these shoe covers don't just keep your feet dry, they improve aerodynamics and they help keep your shoes clean and in best condition. Its mostly open sole design won't interfere with your shoe cleats. The shoe cover is reinforced where required under the toes and at the heel to keep them in place and to prevent premature wear of those most stressed areas of any overshoe. The rear zip closure is finished with a zipper cover at the top. The tops of the overshoes are elasticated for a snug fit and to prevent rain dripping in. Reflective logos and stripes on the outside of both overshoes are a clever safety-conscious touch. The 74% polyester / 26% polyurethane ProTextura Plus is pleasantly soft to the touch. Thanks to their knack for producing some of the best women's bikes at the best prices, Liv has been one of our fastest growing brands over the past year. 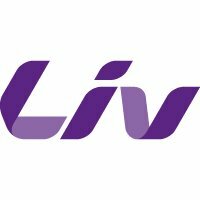 The Liv clothing line achieves a similar trick - top notch cycling equipment without the top dollar pricing.